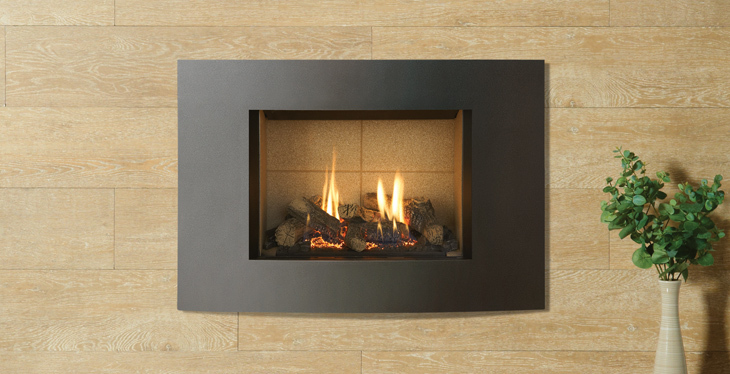 The compact proportions of the high efficiency Riva2 500 Verve XS gas fire has been thoughtfully designed with its horizontal curve and smart Graphite finish. Forming the perfect contemporary counterbalance of the traditional aesthetics of a highly realistic log-effect fire, the Riva2 500 Verve XS gas fire can be tailored to your own particular preference by choosing from one of three distinctly different fire linings in either chic brick effect, light vermiculite or smart black reeded. You can further customise your gas fire and add a splash of colour to your living room by choosing one of the four additional colour options for your frame; Metallic Red, Metallic Blue, Metallic Bronze or Ivory.